In this section we will start with nothing except your local laptop or desktop computer, create a BOSH environment using VirtualBox, and deploy the zookeeper cluster we frequently refer to in the Ultimate Guide to BOSH. You will need the bosh CLI. 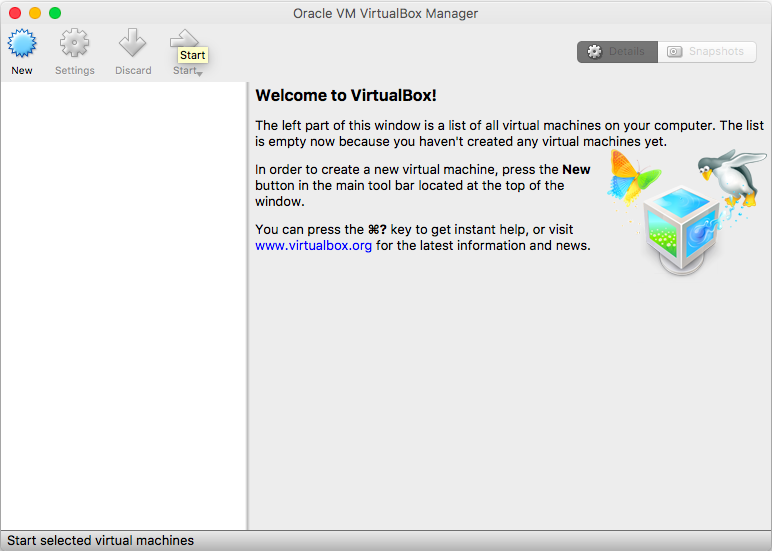 For our VirtualBox environment you will also need to download and install Oracle VirtualBox. Install the git CLI to allow us to clone the bosh-deployment and zookeeper-release project repositories. We have not yet discussed how to create a BOSH environment for your cloud infrastructure. We will absolutely 100% discuss this topic for your cloud infrastructure. Later. For now, we will copy and paste some instructions that will setup a BOSH environment to use VirtualBox. Create a workspace folder and clone the bosh-deployment repository. It contains nearly everything you need to create a BOSH environment for your cloud infrastructure. Alternately to using these two environment variables, in the subsequent bosh commands you could use bosh -e vbox -d zookeeper. You might see these two flag options used in other documentation or examples as you start using BOSH outside of this Ultimate Guide to BOSH. I prefer using the environment variables. Author's privilege. This base deployment manifest is lovely. It has no Variables; it "Just Works". This bosh will first begin to download the zookeeper BOSH release because the corresponding BOSH release version has not been uploaded yet. The BOSH environment will now be provided with the deployment manifest, and will in turn perform all the activities necessary to create our new deployment. Initially it will need to compile the packages within the zookeeper BOSH release, since it has not compiled them already. It will not perform this task again on subsequent deployments. Next, the BOSH environment will provision "missing vms" within its cloud environment. bosh run-errand status will check the local status of each zookeeper instance. The status errand does not have a dedicated instance, so we know it will be invoked within the running instances of the deployment. The two errand names do not infer that they are destructive or harmful. Let's run them. Put on your cowboy hat. Task 6 | 09:17:12 | Warning: Ambiguous request: the requested errand name 'smoke-tests' matches both a job name and an errand instance group name. Executing errand on all relevant instances with job 'smoke-tests'. Personally I find it confusing that Stdout and Stderr are displayed in two separate sections. I'd like the output interlaced so as to give an indication when the Stderr output occurred relative to Stdout. But the errand Succeeded so I'll stop complaining. The bosh delete-deployment command will destroy all running instances, and will orphan its persistent disks. The orphaned disks are retained in case you notice the cowboy hat on your head and realise you've accidentally deleted your organisation's production cluster of ZooKeeper accidentally. But today we are intent on cleaning up and shutting down our BOSH environment. The bosh clean-up command will perform a decent job of removing any very old releases, and stemcells. Today we will use bosh clean-up --all to destroy every BOSH release, stemcell, and orphaned disk that is not being used by a deployment. Since we have no deployments running anymore, this clean up command will purge everything. Now that we have cleaned up our BOSH environment we can delete our BOSH environment. 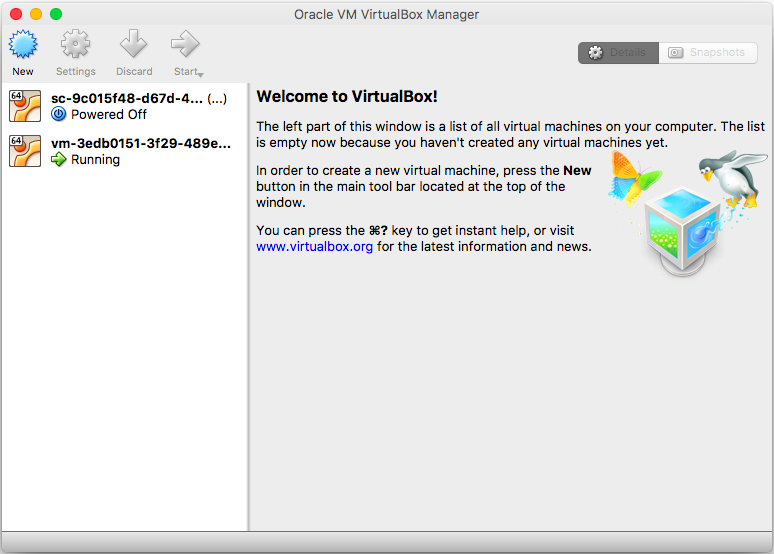 For this VirtualBox tutorial this will mean deleting the VirtualBox VM. We need to run the same bosh create-env command as above, but using the delete-env subcommand instead. That is, the bosh delete-env command needs the same arguments used for the original bosh create-env.